Did you know that every 80 seconds a woman dies from heart disease or stroke? That’s a staggering figure! Heart disease and stroke are the #1 killer of women in America. Heart health is real and should always be at the forefront for women’s health. Most of us know someone that has been affected by heart disease – myself included. In fact, this hit close to home in my own family not too long ago. About two and a half years ago, my dear mother suffered from a stroke which changed her life (and mine) forever. Thankfully, she is still here with us today and is doing well overall! But she could have easily been a statistic. 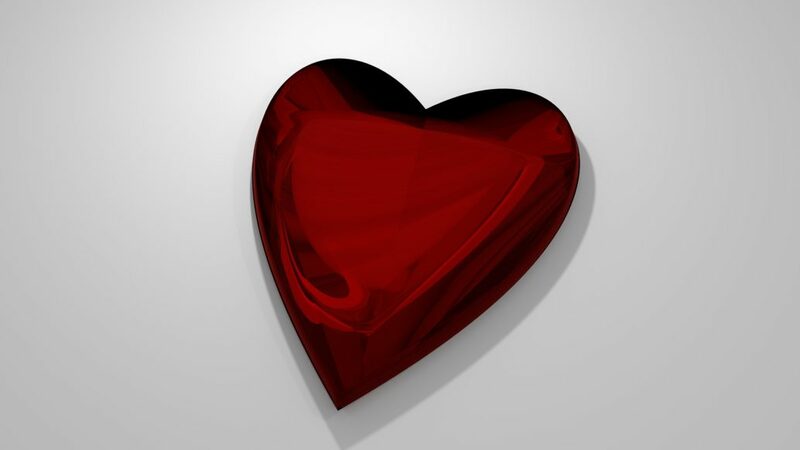 Let’s prevent death by heart disease by raising awareness and showing support to those that we care about. Tomorrow, February 3rd is National Wear Red Day sponsored by the National Heart Association. I encourage you to wear red tomorrow wherever you may be! You don’t have to wear red from head to toe – styling your outfit with an accent piece or two is just fine. Wearing red in some way shows solidarity for this cause. 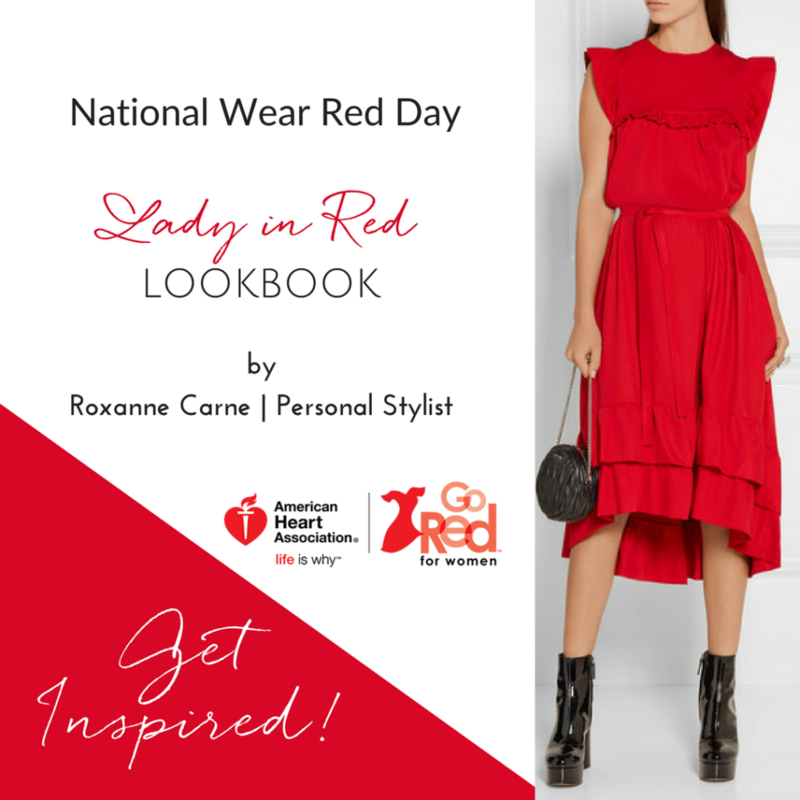 I’ve created a Lady in Red Lookbook to provide you with ideas and inspiration on some clothes or accessories you can wear to support the cause. Take a peek to get inspired! Get Inspired – Click Here to Access the Full Lookbook! In support of this cause, I’m honored to be attending ‘An Affair of the Heart’ Benefit Luncheon and Fashion Show sponsored by Bloomingdale’s and Hobbs London (one of my favorite stores and fashion brands!). While next week's event is currently sold out, you can also lend your support by donating directly to An Affair of the Heart which is in conjunction with the American Heart Association. Proceeds help fund research and further education and awareness across communities in our region. To help spread awareness for this important cause, please forward this blog to anyone you think that may benefit from it. Even if it sparks a conversation or reminds someone to schedule that doctor’s appointment, it may save a life! I encourage you to please share and participate in National Wear Red Day! I’d love to see what you decide to wear! Share your outfit with me on Facebook, Twitter, or Instagram! Roxanne Carne is a recognized Personal Stylist styling women in NoVA, Washington, DC, MD, and virtually! Visit www.roxannecarne.com to discover how she can help you define your style!